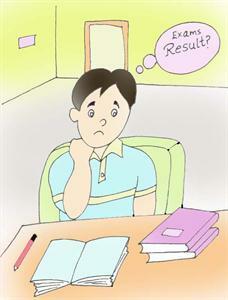 During and before examination, there is a lot of pressure on kids. This is not only for study but also for their parent's expectation. The hectic life schedule and food pattern of modern age puts a very bad affect on kid's mental ability and health. Parents can take some easy but necessary measures for improving memory and health of their kids. Here we are going to provide some tips, that parents can follow, for improving their kids. How to improve memory and health of kids? The modern age, life style is entirely different from our ancestors. Our ancestors were very hard workers and had a proper schedule for daily activities. They had proper working hours and fix time for having food. Most importantly, they would follow early to rise and early to bed rule. That is why, they had very sound health and very low mental pressure. Besides this, there was very less competition among kids and also they had less pressure for reading. Early kids did not have parents's expectation pressure. But now, the conditions have been changed, entirely. Not only our working schedule but food pattern has also been changed. The hectic and improper life style of this age, put a very bad affect on our kid's memory and health. The stress for study, parent's expectation, uninteresting works, fast food culture, fear for examination results, and lack of exercise are some reasons that have removed the smile from the faces of our kids. Even some kids seem to be irritated also during their entire examination days. This is not only for examination stress but also due to parent's expectation from them. We are describing below some major reasons for reducing memory of kids. •	Improper working schedule – We are following 'Late to sleep and late to rise' rule and our kids also doing so. •	Impurity of food - Earlier, the purity of the food was a great advantage for our ancestors but now junk food and food adulteration is the main disadvantage for us. •	Improper food style and junk food- Our hectic working schedule doesn't allowing us to take food on proper time. 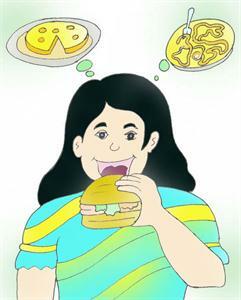 Besides this junk food is the biggest reason for health and memory loses of kids. •	Lack of physical exercise: Latest mobile and video games, cartoon channels on TV are carrying kids far from open playgrounds to a closed room. It has vital role in disturbing mental ability and physical improvement of our kids. 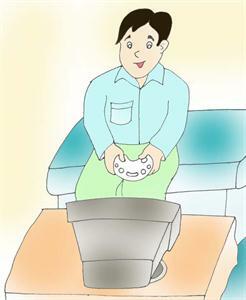 The animated cartoon channels and action oriented video games killing innocent nature of kids very fast. •	Stress for study: Less time for enjoyment and more time for study making our kids more stressed. It is must for every kid to have some enjoyment through playing. •	Fear factor of Examination result: It has been noted that kids (especially girls) lose their appetite in the duration of examination. This is due the stress for their coming result. •	Parent's expectation: Parents should understand that neither every child can become a genius nor every child can stand first in the class. Though this is the age of competition, yet the mental ability of each kid differs from the others. Every kid works his level best as per his mental ability and he should not be blamed for this. The only thing that parents can do is to try to improve their mental ability. Although by taking care of above said points, we can control and improve physical health and mental ability of our kids, yet here are few measures and necessary attempts that can be followed to bring back smile to the faces of our kids. Light exercise, yoga and proper diet with love and care can help our kids to maintain their strength. Just 15 minutes of simple yoga can give back the childhood and confidence in kids and the proper nutritional diet can improve their strength and memory for multiple times. For taking such measures, parents also have to give some time to their kids. So, we are going to provide some tips that can help your kids to improve their memory along with their health and stress control. Ujjayi Pranayama is a breathing exercise. In this yogic exercise, Inhalation and exhalation both are done through the nose. The air is taken into the back of the throat with a constriction of the muscles, resulting in a hissing sound - an ocean sound. As the throat passage narrows, the speed of the air passing through it, also increases. This makes the breath long and thin. •	Sit in a comfortable meditative pose or lie in savasana. •	Inhale and exhale through your nose with the mouth closed. •	Make the inhalation and exhalation long, deep and controlled. •	Practice full yogic breathing and concentrate on the sound. •	Initially, begin your practicing for 3 minutes, later work your way up to 10 minutes, progressively. In Yoga, we do some simple physical acts, called Asanas. There are some very important Asanas those improve metabolic rate of our body and purify our blood that brings extra blood to our mind, which improves our mental ability and memory power. Sarvangasana, Halasana, Greevasana and Dhanurasana are some asana those improve our memory. Here we are going to explain how to do Dhanurasana. •	After releasing the posture lie for a while Shavasan. 3. Meditation reduces mental stress, pain, botheration, sorrow, lack of interest, boredom and improves and self control and mental ability. For this, just sit straight with crossed legs for 5 minutes only. Close your eyes and put your attention at your forehead where we apply tilak while praying. 5. Nutritional food for kids: Germinated grain in morning, mung dal (green gram), gram and seasonal fruit are very useful for improving mental ability of humans. Almond and raisin improves memory. Put 5 almonds and 5 raisins in water at night and chew them in early morning. Habit of having some edible most often to be avoided entirely, for keeping yourself fit. Everyone should know that one, who has a sound body, has a sound mind and soul. This is a very good educative resource that seek to educate members on the need to guide our kids in order for them not to loose their memory. Particularly, the issue of food is what really enticed me to the article. I have learnt something to day and I will encourage people to see this resource.